Andrew Thorpe-Apps looks behind the RSPCA’s cuddly image, and finds the charity has entered dangerous territory. When we talk about the RSPCA, we think of the dishevelled, unloved pets from the TV advertisements. As a nation of animal lovers, we revile against the mistreatment of our furry friends and are persuaded to give what money we can. The RSPCA, a seemingly benevolent bastion of charitable kindness, steps into the breach and prevents further suffering. Few would deny that the RSPCA does indeed do great work. In 2012, the charity investigated 150,833 cruelty complaints. It consistently raises the issue of cruelty and has played an important role in bringing about legal protections for animal welfare. This activism led to The Animal Welfare Act 2006, which consolidated more than 20 pieces of legislation pertaining to the treatment of animals. The work of the RSPCA is more important than ever, with recent years witnessing a large increase in the number of pet owners convicted of animal cruelty. It is this ongoing battle that motivates hard working volunteers up and down the country. The problem is that the priorities of volunteers and donors no longer tally with the charity’s leadership. The RSPCA has been politicised by a small group of left-leaning individuals. Resources are being diverted to lobbying and campaigns. Recent years have seen the construction of a £16 million Headquarters in Horsham (at 2002 prices), a burgeoning number of admin staff, the appointment of highly paid ‘managers’, and even £80,000 spent on a memorial to animals in war. 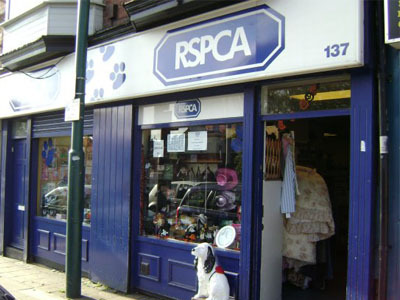 Founded in 1824 due to concerns about the mistreatment of cattle, the RSPCA is one of Britain’s best known charities. 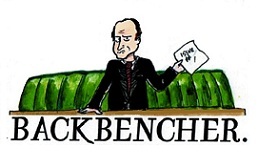 Although the charity lobbied Parliament even in the 19th century, it has strayed markedly from its founding principles. 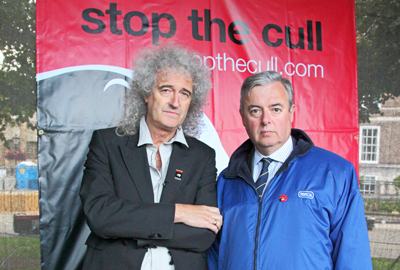 Today, the RSPCA focuses much of its attention on two particular issues: fox hunting and the badger cull. The current Chief Executive is Gavin Grant, a former PR man. Grant, who is paid £160,000 a year, is a member of the Liberal Democrats, and in 2011 served as Chair of the party in South West England. Grant has previously worked as an adviser to Nick Clegg, and was involved in Clegg’s party leadership campaign in 2007. Grant has also been vocal in his opposition to badger culling. In 2006, the RSPCA was investigated by the Charity Commission over claims that it had breached guidelines by conducting an overtly political campaign against the culling of badgers. More recently, the Advertising Standards Authority received over 100 complaints following an RSPCA advert, published in the Metro, which contained the headline ‘Vaccinate or Exterminate?’ The advert showed a bullet alongside a needle. In 2012, the RSPCA spent £326,000 on bringing a prosecution against the Heythrop Hunt. It was unclear why the RSPCA had focused on this particular Hunt, which happens to be based in the Prime Minister’s Witney constituency. District Judge Tim Pattinson, who presided over the case, noted the ‘staggering sum’ spent on the case by the RSPCA. He also stated that ‘members of the public may feel that RSPCA funds can be more usefully employed’. The £326,000 was set against costs of just £19,500 paid by the defendants. In August of this year, BBC Radio 4 broadcast a programme presenting cases where the RSPCA had hounded witnesses who had appeared in court for the defence in RSPCA prosecutions. The charity was again investigated by the Charity Commission over its bullying tactics and intimidation. In September, RSPCA deputy chairman Paul Draycott stated that the charity’s campaigns had become too political and could deter future donors. Mr Draycott also warned of a potential exodus of ‘disillusioned staff’ if the organisation did not address these concerns. If it were not for the rigours of UK charity law, one wonders how much further the RSPCA would have slid into murky political waters. Mr Draycott’s concerns seem to be materialising. 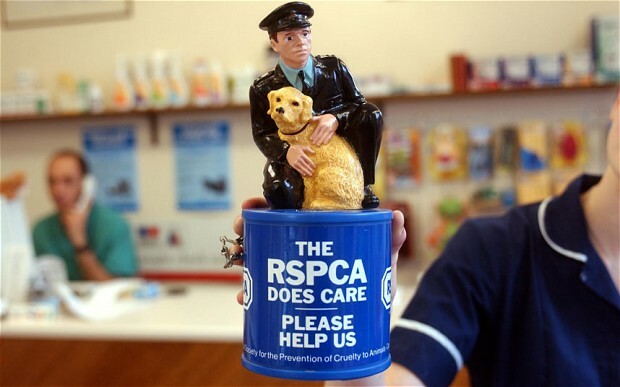 The RSPCA’s income, which comes primarily from donations, has fallen in recent years. This has been met with a dramatic increase in litigation costs. Last year alone, the RSPCA spent £8.7 million on prosecutions. Consequently, it is now less able to uphold the Animal Welfare Act by intervening in the sort of cases it shows on those TV advertisements. If Gavin Grant wants to turn the RSPCA into an organisation concerned with prosecutions, rather than with the prevention of cruelty, then this should be made clear in the advertising. Playing on the emotions of others in the pursuance of political ends is simply not acceptable. It is deeply sad that such a beloved charity has been reduced to this. Britain has a proud history when it comes to animal welfare and it is something we should seek to export across the world. Yet, despite the continued commitment of its volunteers and donors, the RSPCA is failing to live up to that proud history due to the actions of a misguided few. The Tories and the hunt – foxed again?